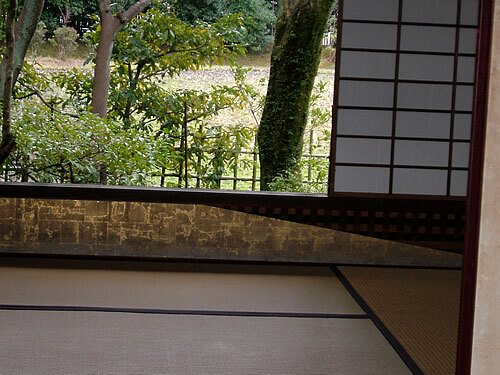 You go across the bridge and get to the third teahouse. I reached to Shoiken, where the round-shaped windows are distinguishing. The brown clay wall looks good to the eyes and the color looks beautiful! 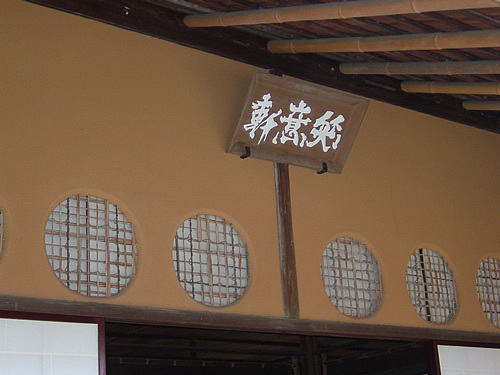 These round windows are made in different sizes on purpose and they tried different combinations in the use of branches for grates. 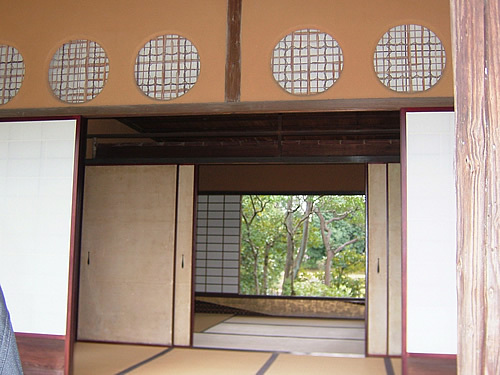 The persistence on details is what makes Japanese architecture special. The wall under the window has remains of maintenance. It used to be checked pattern and was made by velvet. (a part of it is still remaining) I heard they put gold leaf for amending. Why didn't they use velvet as before? I was bothered by a feeling of strangeness. I often see rain water gutter made with copper. 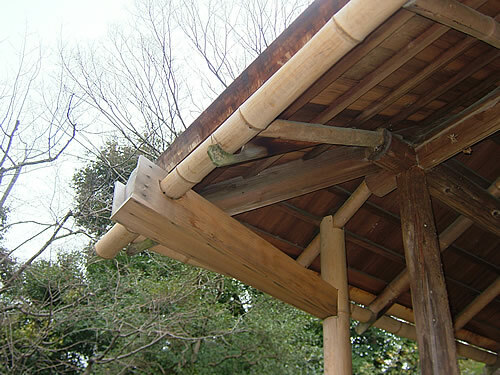 In Shoiken, I thought it unusual that they cut bamboo in half to make a rain water gutter. It has a warm impression with natural warmth.